For over 30 years already, I have been collecting information, data and photographs on the North American P-51 Mustang with the Swiss Air Force. The results of this journey will soon be the subject of a book, a book that will be THE reference on the Mustang in Switzerland. Hundreds of photographs, technical details, drawings and personal stories will shed light into an as yet rather unknown part of the Mustangs history. The book will be published in English and German. Details on contents, availability, ordering, etc. will be posted here in due course. 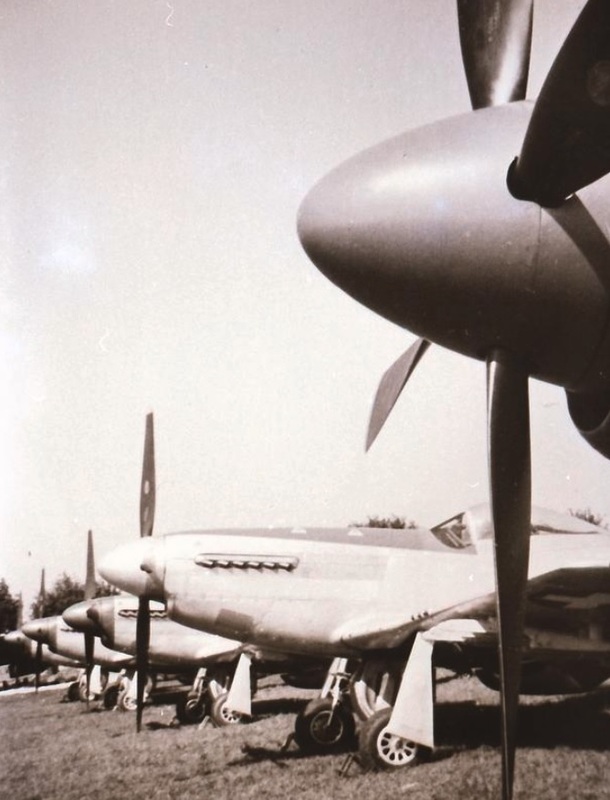 I have just finished work on the chapters dealing with the P-51 Mustangs in & over Switzerland during Word War II - I am speaking of the interned examples, of encounters between Swiss Air Force aircraft and USAAF P-51's, and of other interesting incidents. Currently I am working on bringing the former lifes of the Swiss Mustangs into readable form. This depicts their service with various Fighter and Tac Recon units of the 8th and 9th USAAF during World War II, plus their service 1945 - 1948 with units of the Occupation Air Force in Germany. Over 100 of the 130 aircraft have positively been identified regarding units, codes, pilots, etc., and for many of them I have been able to acquire photographs. On the backburner, the database and cross reference always is in progress, eventually giving as many details as possible to each aircraft. Also in the works are the color-profiles, showing the huge variety of markings on the Swiss P-51's, plus some impressions of their former USAAF identities. Biggest headache at the moment is the photo-selection - there are so many interesting photos in my collection that it really is hard to make a decent selection (I wish I could use all the photos, but then the book surely would be around 500 pages and therefore too heavy and too expensive).